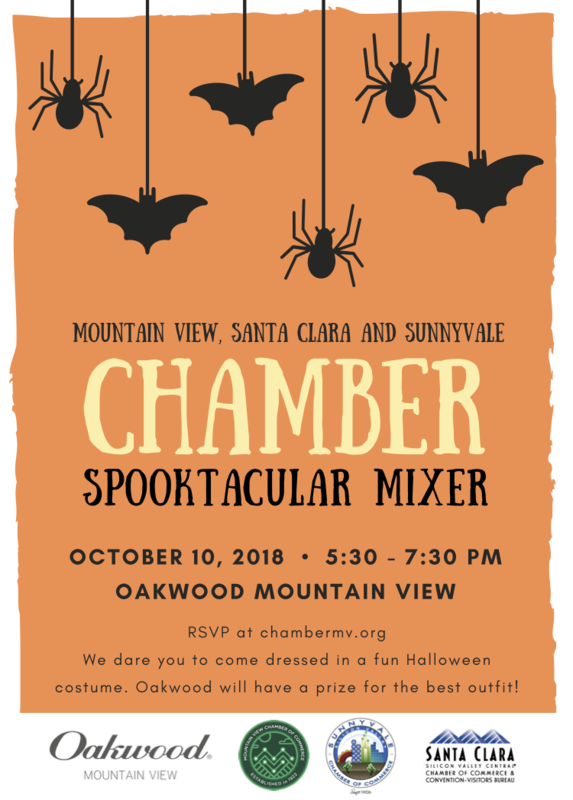 Join Mountain View, Santa Clara and Sunnyvale Chambers for a special Chamber Spooktacular Mixer. Enjoy exciting networking opportunities at Oakwood’s stunning Mountain View property in the heart of Silicon Valley. We dare you to come dressed in a fun Halloween costume. Oakwood will have a prize for the best outfit! Dress Code: Dress up is optional, but Oakwood is giving away a prize for best costume so give it a shot! Oakwood will provide drinks and appetizers and property tours. Parking: There is limited parking space available. Oakwood will reserve some property parking spaces first come first serve, Meyers next door will offer their parking lot for use and street parking can be found on Crestview drive. Please carpool as much as possible and use Uber/Lyft to get to the event. Another option is to park in Mountain View downtown garage and take a rideshare from there.